On November 6, 2016 ARV Virazon II, Orkan, Kaptan Zafer and crew arrived safely at her home port, the Yalikavak Marina, just west of Bodrum! Learn more about Virazon II and the rest of INA’s fleet here. 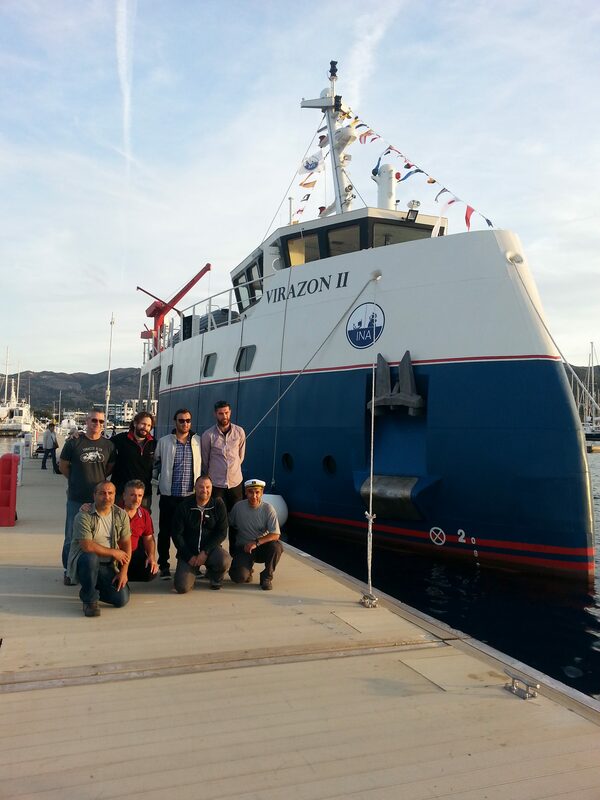 Virazon II and crew after they arrived in the Yalikavak Marina.